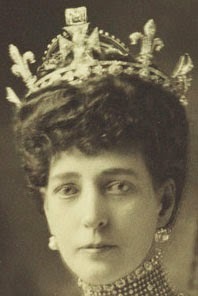 Creation: Queen Alexandra had Garrard make the tiara in 1910 after the death of her husband as a lighter version of the Diamond Diadem and the Regal Circlet which had passed to Queen Mary. The Cullinan VI diamond was originally put in the front cross. 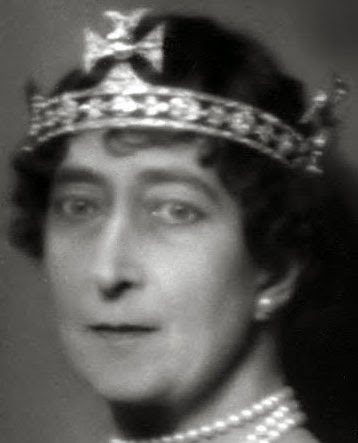 Queen Maud later had the fleurs-de-lys removed so that it would not look too similar to the Regal Circlet. 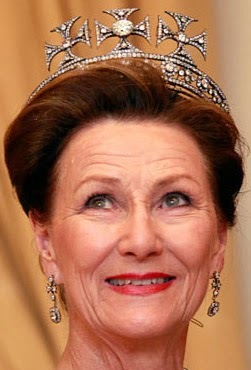 Queen Sonja had the circumference of the tiara reduced and earrings made out of the removed portions. The crosses can be removed and worn as brooches. 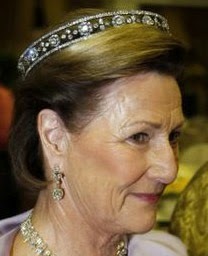 Do the fleur-de-lys elements still belong to the Norwegian Royal Family?